A new report, released in the 2016 U.S. News World Report by Rush University Medical Center, has specified that the MIND diet has considerable impact and is the easiest to follow. 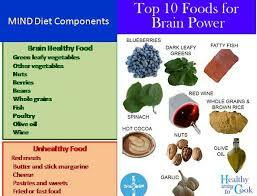 The name of the MIND diet is short for Mediterranean-DASH Diet Intervention for Neurodegenerative Delay. The MIND diet has components from the Mediterranean diet and DASH (Dietary Approaches to Stop Hypertension) diet and was tied third for best diet for healthy eating and the second best overall diet. The best diet list provides facts and nutrition specifications about 35 eating plans and ranks them differentiated from heart healthiness to weight loss. Each profile lists how the diet works, if health claims are substantiated, possible health risks and analyzes how easy it is to work with the diet. The MIND diet was developed by Rush University and previous studies have revealed that the diet impacts on Alzheimer’s disease by lowering the risk by 53% of participants who adhered to the diet rigorously. “One of the more exciting things about this is that people who adhered even moderately to the MIND diet had a reduction in their risk for Alzheimers,” Martha Clare Morris, ScD, a Rush nutritional epidemiologist said. The researchers also have found that adhering to the diet may slow cognitive decline among aging adults, even when the person is not at risk of developing Alzheimer’s. The diet generally consists of at least three servings of whole grains, a green leafy vegetable and one other vegetable every day — along with a glass of wine — snack on nuts, beans every second day, poultry and berries at least twice a week and fish at least once a week. Designated unhealthy foods, especially butter (less than 1 tablespoon a day), sweets and pastries, whole fat cheese, and fried or fast food should be limited to less than a serving a week for any of the three. Berries are the only fruit which needs to specifically included in the MIND diet. “Blueberries are one of the more potent foods in terms of protecting the brain,” Morris says, and strawberries also have performed well in past studies of the effect of food on cognitive function. Rush University Medical News release. ← Replacing Sugar in soft drinks could prevent 1 million cases of obesity. UK Study finds.